Manage your money, don’t let money manage you!! 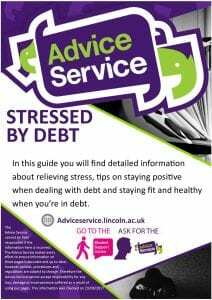 The Specialist Advice Team is here to give professional, specialist, confidential, impartial advice to all students at the University of Lincoln who approach us. 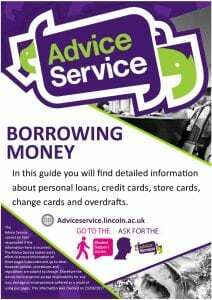 Our service is free and the Advice Workers have many years experience in dealing with issues that affect ALL students both within and outside the University. 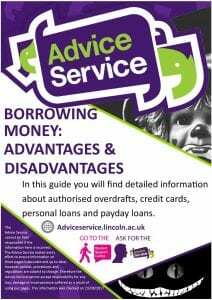 All our Advice Workers have specialist knowledge skills and experience in giving debt advice. Come and see us, we can help. We offer assessment drop in sessions Monday – Friday during the lunch break between 12pm – 2pm. These sessions are based in the Student Support Centre and offer students quick and easy access to an Adviser. These sessions are to help us identify the problem. If we need more time than the drop in session allows, we can book you an appointment or refer you to the most appropriate source of help. 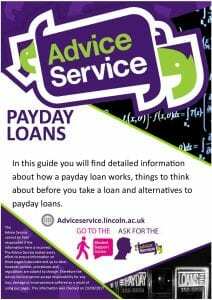 You can also complete the debt pack below, print it off, fill it in and return it to us and then book an appointment. 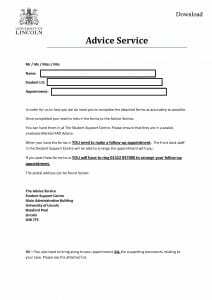 By completing the form and providing all the supporting documents before your appointment the adviser will have an opportunity to look at it beforehand and you will make best use of your appointment. If you are at all unsure, come along to one of the drop in assessment sessions and the advice team can answer any questions and explain what is needed further. You can find further guidance and information by following the links below which will take you to external websites. Remember it is always best to seek advice as soon as you think there is a problem.